They are divided by religion, and yet the passion is overwhelming. Something's got to give. Will he choose her? After the disaster with Tranquility, Zahara Chandler is looking to get her life back in order, and to forget all about Hunter. He's chosen Pamela, and that's that. She throws herself into her work, studying ancient Egypt in the flesh despite the dangers. But back in the twenty-fourth century, the Institute needs her to avert a looming crisis, a conflict with the True Christians over time-travel. Zahara engages in a public debate with Aland D' Amario, a man oozing with confidence in his outdated beliefs, one whose eyes are chips of anthracite that haunt Zahara's dreams. As passion overtakes them, Zahara and Aland discover something more in each other than that first strained meeting would have suggested. But his reservations about time travel run deep, and the grip of the True Christians on him is strong. Zahara may just have to fight for him, just as he fights for her. Will love conquer all? 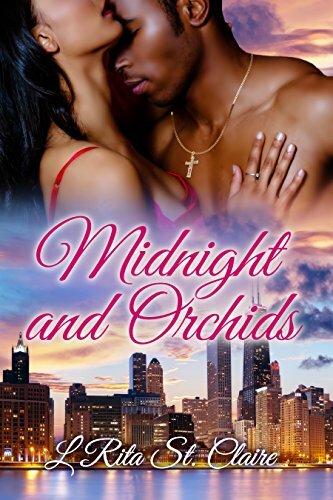 Midnight and Orchids is the third booknin a romantic time-travel series. If you like love stories that demand sacrifice for the ultimate reward, then you'll love L Rita St. Claire's latest addition to the Love Blues Series.